Is your family looking for some extra room? Premier’s screened lanai will increase livable space and provide a great play room or a spot to relax. Your lanai can be enclosed to resist the weather and provide an extra layer of security from the elements and outsiders. Lanais are named after the Hawaiian island of Lanai. Screened lanais are not only beautiful but functional – if you have pets, they can enjoy the outdoor environment safely at all times. If you have young children, there are lockable door options for their safety. Imagine having a cup of your favorite coffee or breakfast every morning in your own outdoor space, while being protected from the elements. Since everyone has different wishes, we can accommodate your design suggestions and provide just the space for your family’s needs. Not only will this add beauty and value to your home but it will provide a lifetime of enjoyment. 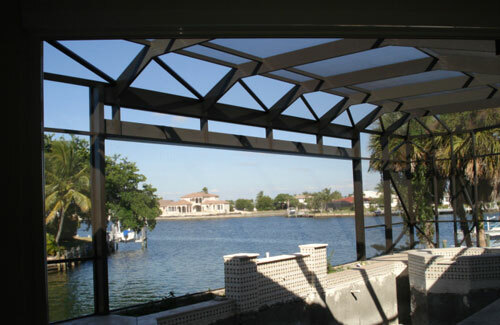 A custom-designed lanai allows you to enjoy the sun and outdoors while staying within a screened setting. For a safe, functional room for your entire family this is your best option.